TWiV 176: Ave, magi virorum! 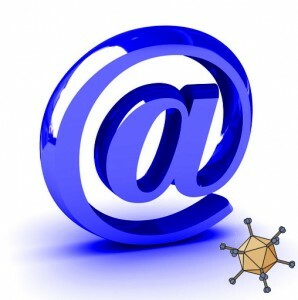 Vincent, Alan, and Rich answer listener email about MS, CFS, EBV, B cells, virii, influenza B, scientific papers, and more. Click the arrow above to play, or right-click to download TWiV 176 (62 MB .mp3, 86 minutes). 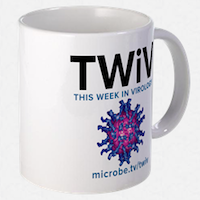 Send your virology questions and comments (email or mp3 file) to twiv@microbe.tv, or call them in to 908-312-0760. You can also post articles that you would like us to discuss at microbeworld.org and tag them with twiv. #flu #health There is a lack of observation by the medical world on the flu virus. Give up the microscope. This is Tina. What a surprise to hear my email read. I sent it so long ago, I thought all had moved on. I also didn’t realize it was so long. Sorry ’bout that. Thanks for reading. I think the difference in who with EBV (or possibly other herpes viruses?) develop ME/CFS and who doesn’t may include genetics, but also stress. The CDC has been looking at stressors, including viruses, and the role it has in developing the disease. But what affect does stressors have on latent viruses? How does this affect cellular function, particularly in the B cells. Just a comment on the question on influenza virulence and temperature. Don’t you think the question might refer to cold-adapted virus, i.e. virus that doesn’t replica well at body temperature?